Welcome to the Exercise-To-A-Healthier-Life.com Online Store. Below you will find exercise related T Shirt designs. Click on the T Shirt icons below to go to my Tshirt Art Designs Store where you will find cool T shirt designs. Below are a few examples that you will find interesting. 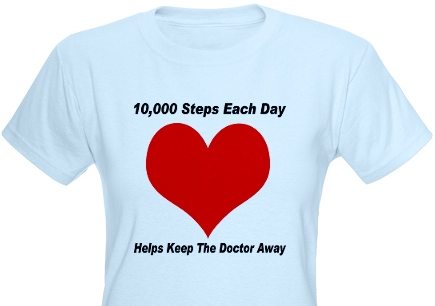 Spread the word of good health by staying physically active each day with the goal of walking 10,000 steps. Comes in multiple sizes, colors and styles. 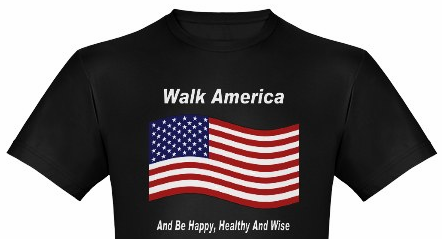 Wear this shirt to promote a healthy mind and body throughout America. 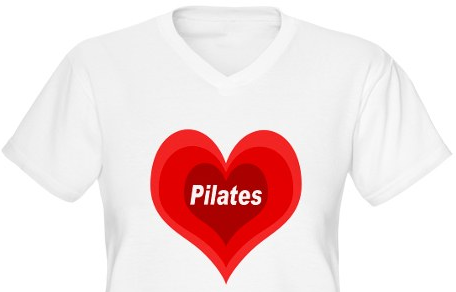 Wear this Expanding Heart shirt to proclaim your love of Pilates. Comes in multiple sizes, colors and styles.